More about Kalevala Bronze Paradise Bracelet A perfect accompaniment for the Paradise necklace or any of your bronze Kalevala jewelry, the Kalevala Koru Paradise bracelet is simple in design and exceedingly comfortable to wear. 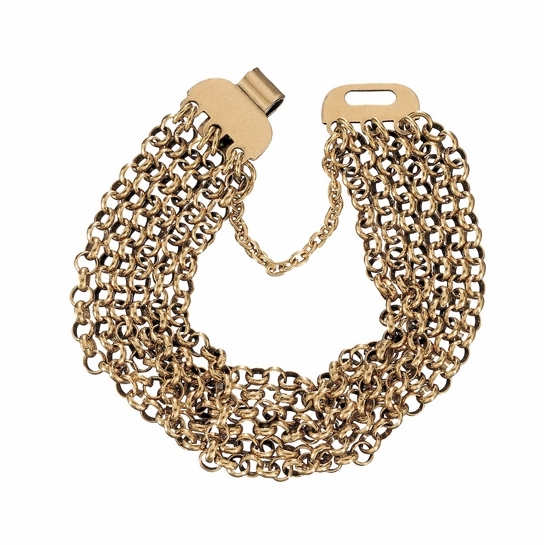 The Paradise bracelet is made of six bronze chains with round links that attach to an arched clasp. The arch is believed to symbolize a church vault. The prototype for the Paradise design dates from 700-800 A.D. 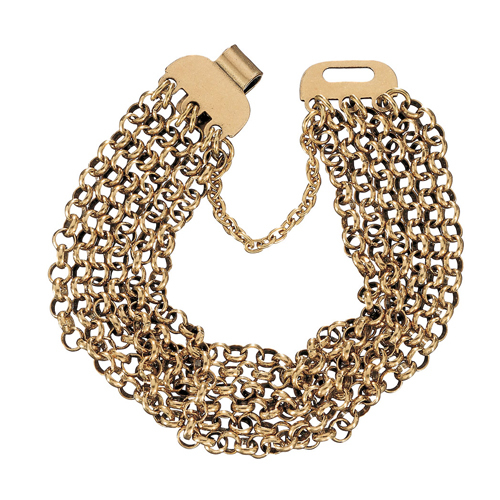 In that time period, one piece of jewelry was seldom enough– women often wore identical bracelets on each arm. Nicely made and very pretty to wear. This is a beautiful bracelet. I had to exchange the small for a large since I have large hands but small wrists. The sizes are accurate. This is my new go to bracelet. More beautiful in actuality than as pictured. I'm very happy with this product. 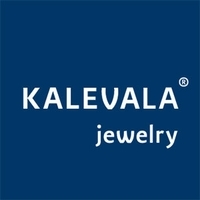 I have been buying Kalavala products for 50 years now and each is always top notch with such great and rich history behind ech piece.